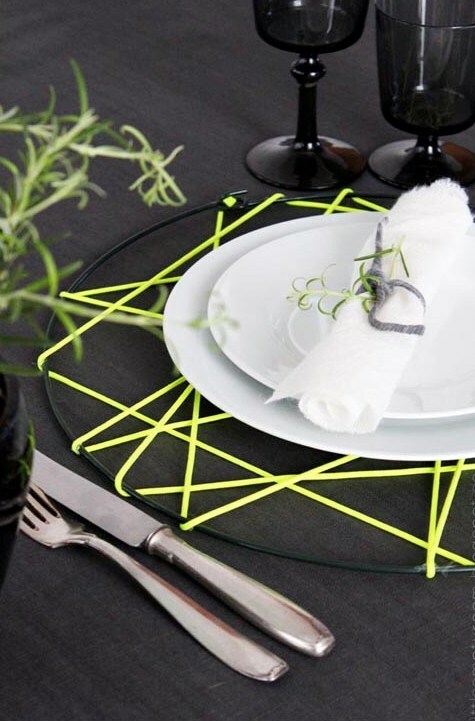 Let your creativity suggest new ways to use recycled fabric into other elements or create art with fabric. 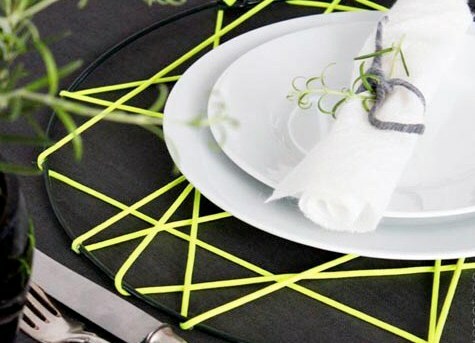 On the cover you see a plate made with a disc wrapped with t-shirt yarn and this idea shows that not only handbags, rugs or fabrics can be made using strips of fabric. 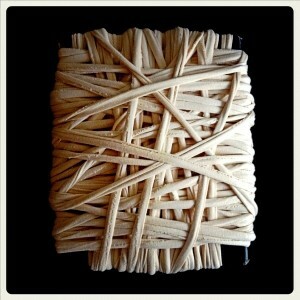 Let’s try then to express your ideas, have fun and make art at home with textile surpluses. The tray in the cover photo is an idea of littleemptyroom. But creating with fabric does not mean that you have to make useful objects but that they can be merely decorative. These squares of recycled materials wrapped with strips of fabric is another of the original ideas of art with recycled fabric of claudiacolor that you can use to decorate a corner of your house. 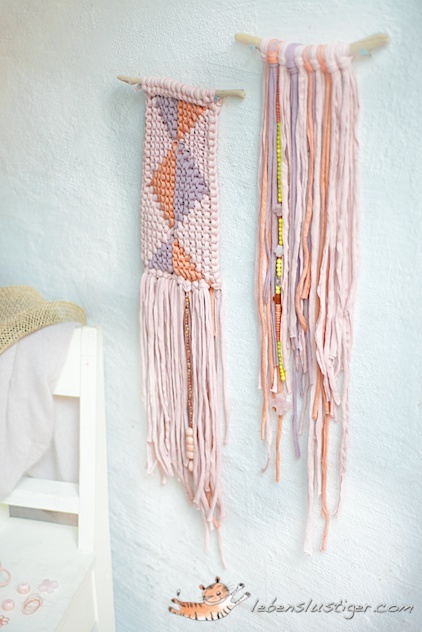 If you want to decorate while express your creativity, you can make fabric tapestries with macrame on twigs or simply combining colors and hanging the strips with beads, for example. 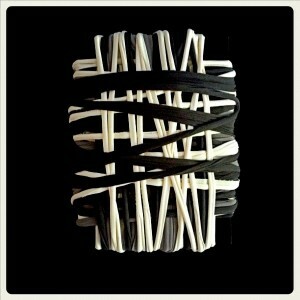 A nice project to achieve ingenious ornaments, modern, warm and artistic, made with your hands. With a bottle you can make vases and decorative containers and for this you won’t have to make any complicated work. 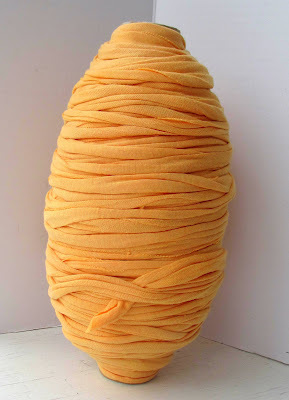 To make this model you just have to wrap the bottle with t-shirt yarn. How else would you decorate it? 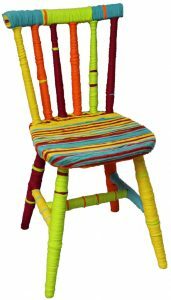 For those who want to take their art further and transform the old furniture of their house check out the step by step to recycle a chair with strips of fabric or inspired by this super original design to transform a boring chair into a shocking and fun furniture. 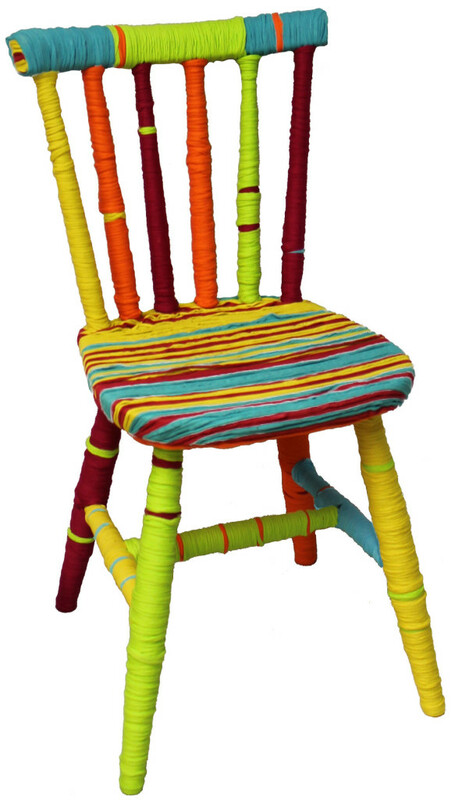 You can see more ideas to make art with your furniture using recycled fabric in the post Furniture made with recycled fabric.